Ready for one final, completely delicious slice of Sneaky Peekage from Stamping Bella? 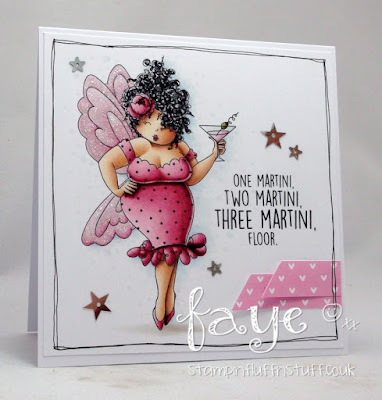 You can get your mitts on the entire release, that's a whopping twenty three new portions of gorgeousness available from Stamping Bella, tomorrow. 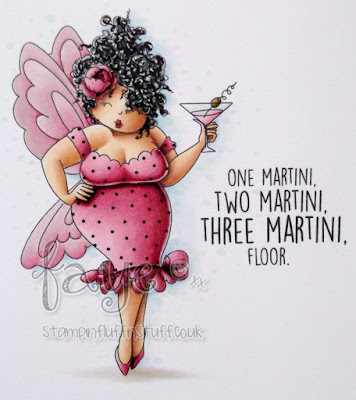 Pink Martini and Sparkly Pink Wings? If Edna wills it, Hell Yeah! I'm guessing Edna was whispering in your ear demanding the pink and sparkly treatment, right?! Well, good choice Edna...you look fabulous! I love this one and the sentiment is just hilarious! Love it.